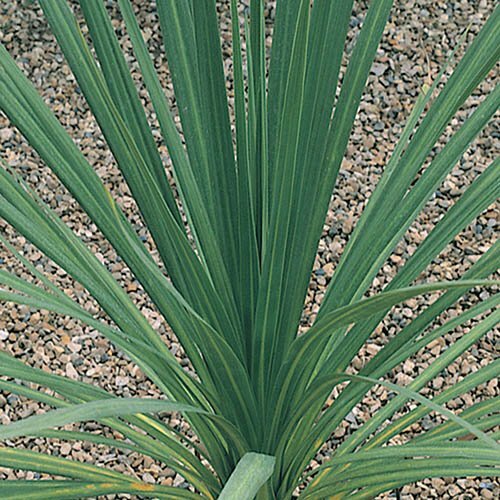 Add an exotic touch to your garden with our instant impact 1M tall Cordyline palms. Already 5 years old, they are great for adding a modern twist to gardens, especially when grown in metallic or modern containers. The bigger the plant, the hardier they are - these can withstand down to -7degrees celsius. 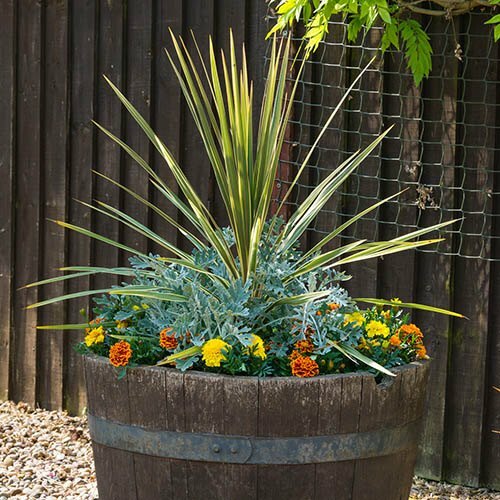 Also included with this pair of Cordyline are a pair of gold finished, plastic planters with a 34cm diameter for a modern display either side of doorways, gateways, pathways or patios and decking! Supplied as a pair of approx. 1m tall cordylines in 14cm pots with pair of 34cm diameter metallic gold planters. 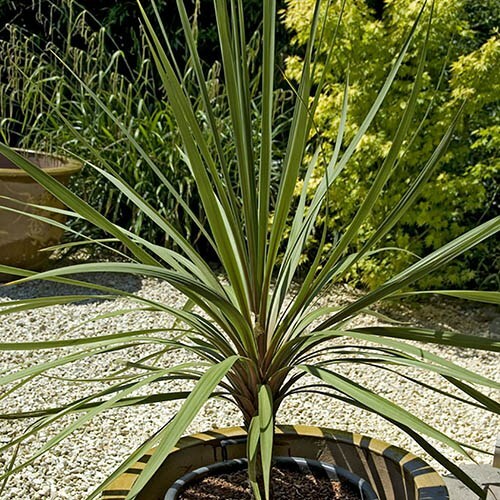 Add an exotic touch to your garden with our instant impact 1M tall Cordyline palms. Already 5 years old, they are great for adding a modern twist to gardens, especially when grown in metallic or modern containers. Their regular swirled pattern of leaves from the slow growing trunk create a unique look for gardens. The bigger the plant, the hardier they are - these can withstand a -7C winter ok, but we always suggest frost protection fleeces or wrapping, or bring into a garage or porch for during the coldest winters. Water them well in summer when they are growing and they will grow 10-15cm a year here in the UK. Cut off any dead leaves at the bottom, and that is what forms the trunk. 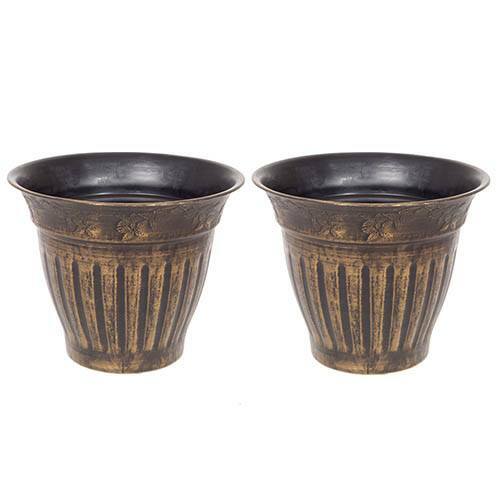 Also included with this pair of Cordyline are a pair of gold finished, plastic planters with a 34cm diameter. Pot up your cordyline right away into these modern, decorative planters and place either side of doorways, gateways, pathways or patios and decking! Supplied as a pair of 1M tall plants in 5L pots, ready to plant out with a pair of 34cm diameter gold plastic planters.